12:20pm: Participants meet at the North Lobby of the Sheraton Vancouver Wall Centre Hotel. 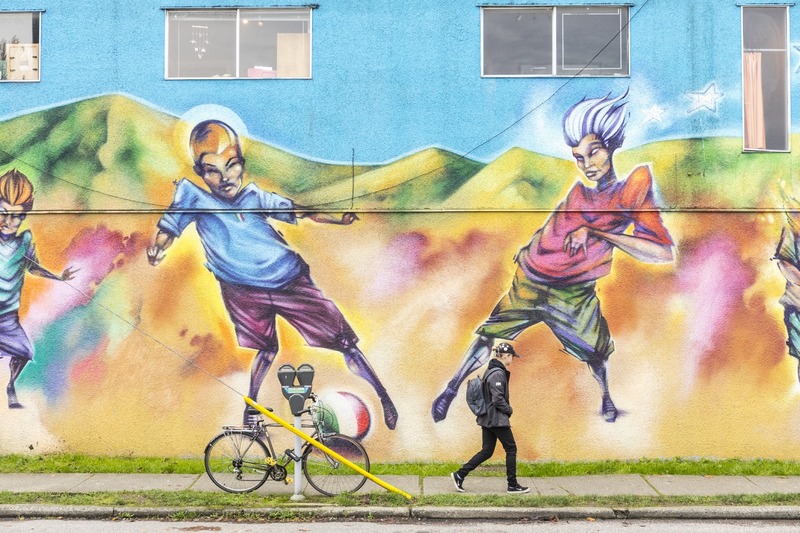 1:00pm: Departs from Kafka’s Coffee Shop – a local gallery/artist hub – the tour will lead participants on a street-level walking exploration of various murals in the neighborhood. It will focus on the contribution of the Festival’s indigenous artists, and explore how creating murals can be used as a way to celebrate diverse local cultures and histories. Tour participants will also get some background on the festival logistics, funding structure, neighborhood consultation process, and hear about what the festival has planned to address all the challenges that arise from of producing a public art festival in the middle of Vancouver’s housing crisis and conditions of increasing economic disparity. The tour will also feature a discussant and City of Vancouver Cultural Services liaison, who will elaborate on the policies and public response to the Festival. Following the walking tour, participants are invited to regroup and continue the dialogue at an informal cocktail/drinks social hosted by NGX interactive in their Mt. Pleasant studio. Featuring local beer and wine, and a signature MW18 cocktail, the behind-the-scenes tour will give you a sneak peak into their latest interactive exhibits. You will have a chance to play with and try your hand with various experiential exhibits in development. Participants will walk to the train station and back to the Conference Hotel.